Last night was Christmas Eve, and the networks mostly took off, with Fox having NFL-related programming for the first hour. It helped hand them a hearty ratings win, well above the other networks in most timeslots. The Simpsons had a repeat at 1.6, followed by a second helping of Ice Age: A Mammoth Christmas with a 1.2 (up 8 tenths from last Tuesday). Family Guy followed at 9 with a 1.1, and Bob's Burgers had a 1.0 at 9:30. That Bob's performance is particularly notable, as it was down just a tenth from the episode's original rating from last year and up in viewers. 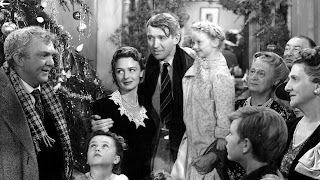 Meanwhile, NBC had a mixed night (to say the least), with horrid repeat ratings for Trolls Holiday and How Murray Saved Christmas (0.2/0.3) and a typically strong performance from 71-year old classic It's a Wonderful Life. IAWL gave the network a healthy 1.0 over its three hours, with 0.8/1.0/1.1 hours. It was obviously hurt by its megaflop lead-in, but eventually climbed to a rating that makes it the #3 non-sports program of the night. ABC had a far weaker performance from Beauty and the Beast than last year with a 0.8, and low repeats for AFHV and Shark Tank at 0.5 and 0.6. The network's night was nothing to write home about, but it wasn't the worst of the night. 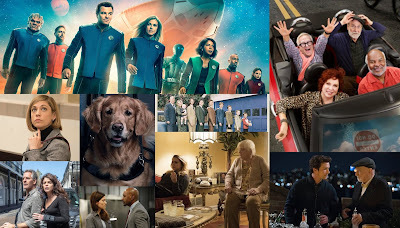 CBS had a 0.8 for 60 Minutes, and 0.5s for three solid hours for repeats of its colorized classics and Blue Bloods.